You might remember my travel guide to the Hamptons from last year, which was inspired by the movie Something’s Gotta Give. 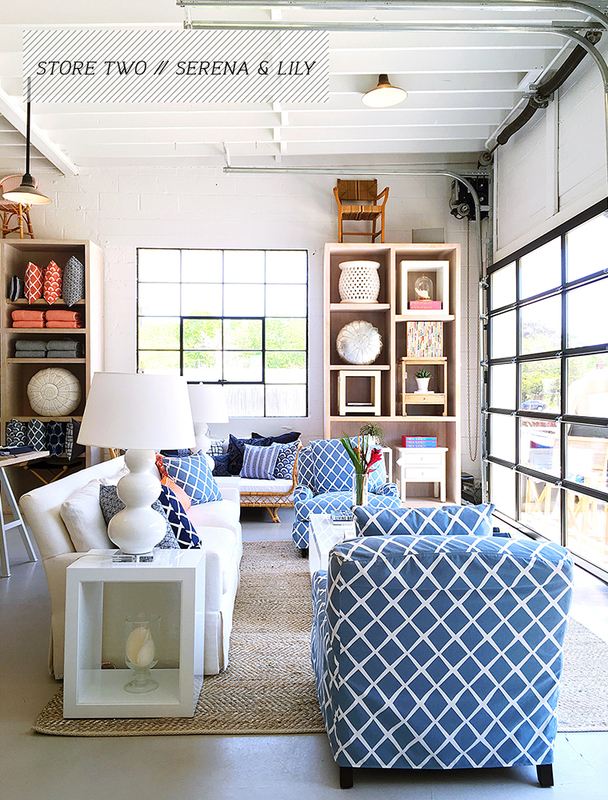 Well, last weekend I headed to the Hamptons to go design and color hunting, and it turns out there are stacks of inspiring stores and boutiques to tour and shop. I decided to round up six of my favorites into one post – click through after the jump to get a sneak peek inside each space! I LOVE the Serena and Lily store! I try to go every summer…now I need to check out the rest of these. 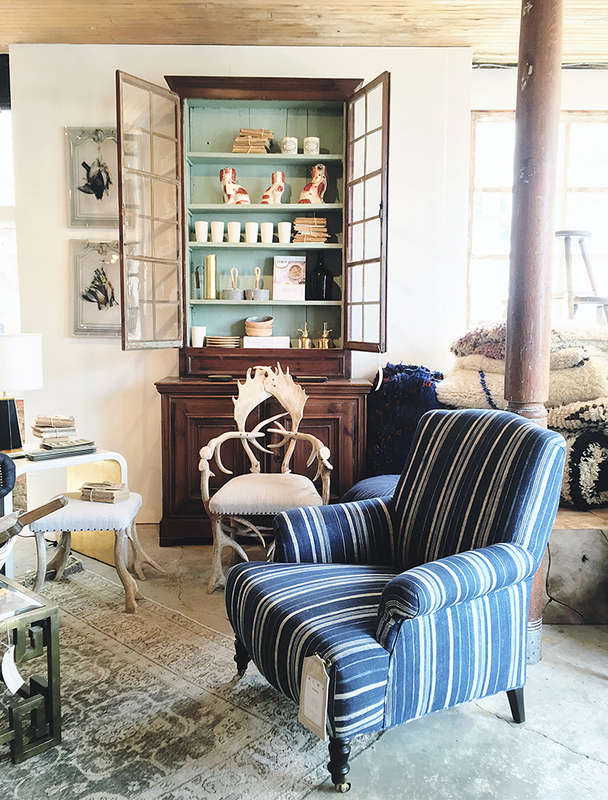 If you get a chance you might want to check out Touch Goods in Southold (it’s on the North Fork) – really cute place with vintage finds and contemporary, mid-century style pieces. I think you’d love it! @Jackie – Isn’t it just beautiful?! Love! Thanks for the recommendation on the North Fork; perfect timing as I hope to head out that way next! @Susan – Exciting, right?! Have a great time next weekend! I love this post. 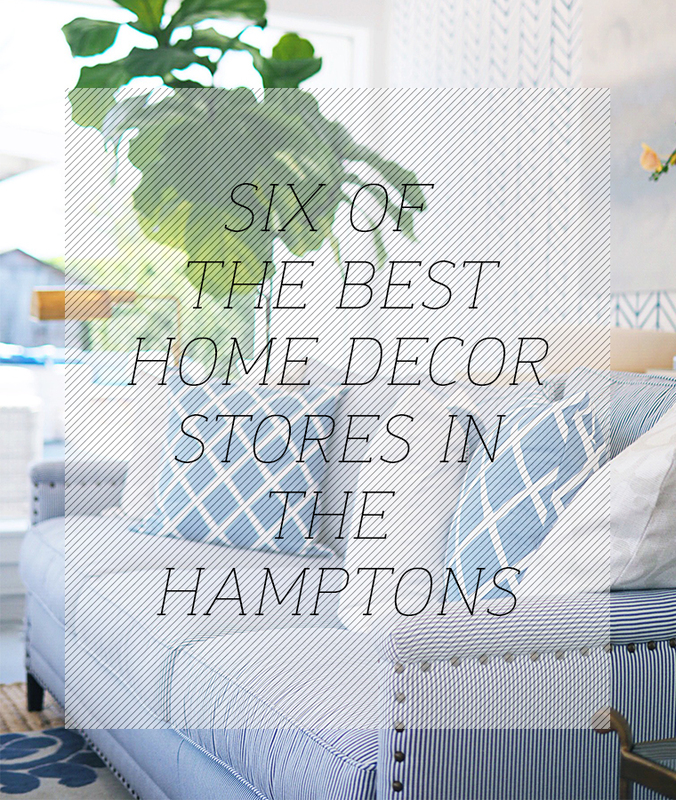 The perfect excuse for a weekend in the Hamptons design hunting with my OH! Hi Will, you hit most of my favs. ,I can’t wait to see Jayson Home. 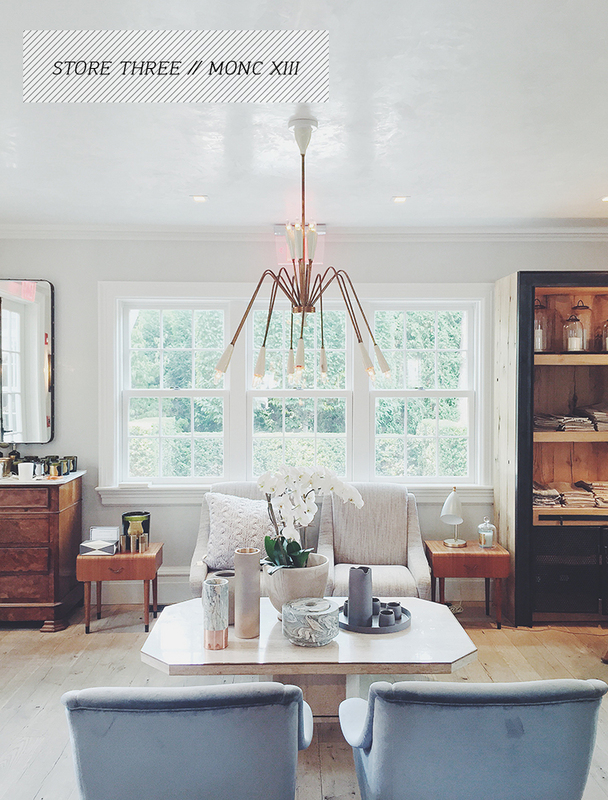 I’ll add antiques from Lauren Copen in Watermill, English County in Southampton, Mecox in Southampton (the best and biggest) Le Lampade in Sag harbor for vintage lighting,Beach Bungalow in Sag Harbor and Rum Runner in Southampton. And just an FYI there are 2 Homenatures in Southampton now with different content in each. @Christine – Thanks so much for your recs. Yes, I love the HUGE Mecox in Southampton, it’s like a treasure trove isn’t it?! I’ll add those antique stops to my must-see list for the next visit, cheers! Right there with you on the kitchen in Monc XIII, gorgeous! And you already know how I feel about the natural light in #2. @Josh – YAS! For me, natural light sells a space. Thanks for stopping by! I want to decorate my home with the new beautiful collection and saw your blog. Collection is all so beautiful and I minded that how to decorate my home from your blog. Thanks for this blog, Sharing with us. In the Hamptons now installing my outdoor porch for the Traditional Home Showhouse and will def check out the ones you mentioned, I haven’t discovered! Thanks!